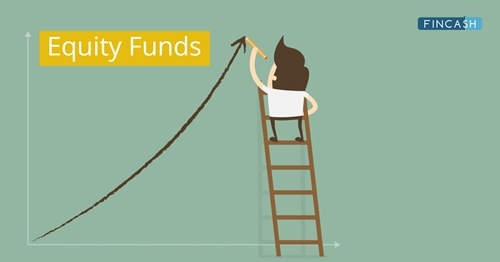 Why to Invest in Equity Funds? 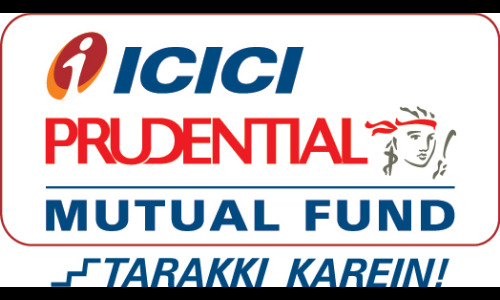 How to Invest in Best Equity Mutual Funds Online? Equity funds should be the vehicle of choice when Investing for long-term goals. Equity funds have created huge profits for investors in the past few years. But as there is a wide choice before investors, choosing the right equity fund becomes critical. But with right qualitative and quantitative measures (discussed below), one can ideally choose the best equity Mutual Funds. Since stocks are actively traded across all major exchanges, every day, this makes equity funds a highly liquid investment. It provides investors, the convenience of buying and selling their stocks depending on the market situation. By investing in equity mutual funds, the money is usually credited to your bank account in 3 days. Investing into blue-chip companies may help investors earn a steady income in the form of dividends. A majority of such companies usually pay out regular dividends even in volatile market conditions, typically paid quarterly. Having a diversified portfolio can provide investors with a steady dividend income in the year. With best equity mutual funds investors can diversify their portfolio through regularly investing. It means that they can invest in stocks of different economic sectors. So, even if a particular stock drops in value, the others may help investors make up for that loss depending on the market situation. The attributes that make equity funds most suitable for small individual investors are the reduction of risk resulting from a fund's portfolio diversification and the relatively small amount of capital required to acquire shares of an equity fund. A large amount of investment capital would be required for an individual investor to achieve a similar degree of risk reduction through diversification of a portfolio of direct stock holdings. Pooling small investors capital allows an equity fund to diversify effectively without burdening each investor with large capital requirements. 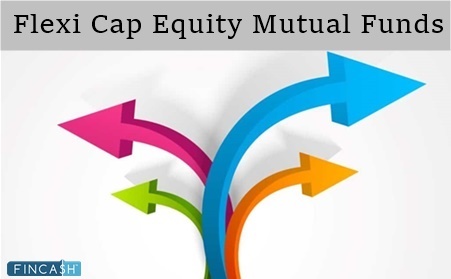 Best equity mutual funds are categorised according to its types- ELSS, Large cap funds, mid cap funds, Small cap funds, Diversified Funds, sector funds and Balanced Fund. TATA Digital India Fund is a Equity - Sectoral fund was launched on 28 Dec 15. It is a fund with High risk and has given a CAGR/Annualized return of 13.2% since its launch. Return for 2018 was 24.9% , 2017 was 19.6% and 2016 was -6% . SBI Technology Opportunities Fund is a Equity - Sectoral fund was launched on 9 Jan 13. 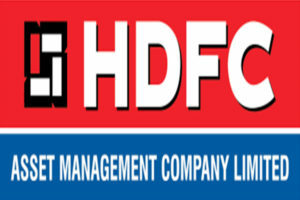 It is a fund with High risk and has given a CAGR/Annualized return of 18.3% since its launch. Ranked 42 in Sectoral category. Return for 2018 was 17.1% , 2017 was 13% and 2016 was -3.3% . SBI Banking & Financial Services Fund is a Equity - Sectoral fund was launched on 26 Feb 15. It is a fund with High risk and has given a CAGR/Annualized return of 15.4% since its launch. Return for 2018 was 9.5% , 2017 was 40.7% and 2016 was 17% . Franklin India Technology Fund is a Equity - Sectoral fund was launched on 22 Aug 98. It is a fund with High risk and has given a CAGR/Annualized return of 18.4% since its launch. Ranked 41 in Sectoral category. Return for 2018 was 11.9% , 2017 was 19.1% and 2016 was -2.6% . Anand Radhakrishnan 3 Mar 07 12 Yr.
Varun Sharma 30 Nov 15 3.25 Yr.
A perfect way to invest in the best equity mutual funds is by looking at its both qualitative and quantitative measures. The credit of performance of a Mutual Fund scheme lies with the fund manager. A fund manager is responsible for making investment decisions for the fund’s portfolio. So, investors should go through the performance of the funds managed by the particular fund manager, especially during the tough market phases. Also, investors should give more priority to a fund manager who has an experience of managing a similar kind of funds, for example- small and mid caps. Going for a fund manager who has been consistent over his career is a preferred choice. While choosing the best equity mutual funds to invest, always look at the quality & reputation of the fund house. A fund house with a long-standing record, large assets under management, star funds or good performing fund etc., is the one to invest in. Hence a fund house having a strong presence in the financial industry with a consistent track record should be ideally preferred. An investor should do a fair assessment of the funds’ performances for over a period of time. 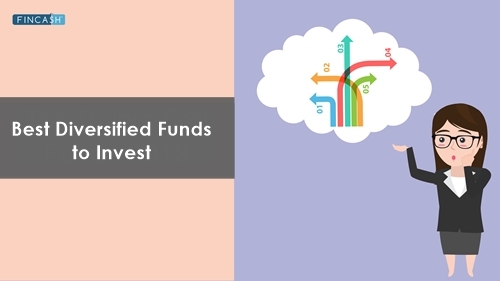 Also, it is suggested to go for a fund that consistently beats its benchmark over 4-5 years, additionally, one should see each period and see if the fund is able to beat the benchmark or not. Investors should always go for a fund that is neither too big nor too small in size. While there is no perfect definition and relation between the size of the fund, it is said that both too small and too large, can hinder a fund’s performance. Thus, while choosing a fund, it is advisable to go for the one whose AUM (Asset Under Management) is approximately same as the category. Investors who have Mutual Fund Investments have to bear certain charges like operation costs, management fees, etc., charged by the Asset Management Company (AMC). Generally, the expense ratio is higher for schemes that are actively managed than it is for passively managed schemes (such as Index Funds or ETFs). As per the SEBI rules, an expense ratio for equity funds are a minimum of 2.5%.However, the expense ratio is something which should not supersede other important factors such as fund performance etc. It is better to pay a higher expense ratio in a fund knowing that it will beat it competitors by a good margin. Alpha is a measure of the success of your investment or rather outperformance against the benchmark. It measures on how much the fund or stock has performed in the general market. 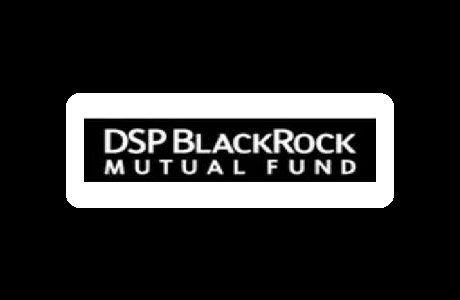 A positive alpha of 1 means that the fund has outperformed its benchmark index by 1%, while a negative alpha of -1 would indicate that the fund has produced 1% lower returns than its market benchmark. So, basically, an investor’s strategy should be to buy securities with positive alpha. It measures volatility in a stock’s price or fund relative to a benchmark and is denoted in positive or negative figures. A Beta of 1 signifies that the stock’s price moves in line with the market, beta of a greater than 1 designates that the stock is riskier than the market, and a beta of less than 1 means that the stock is less risky than the market. So, lower beta is better in a falling market. In a rising market, high-beta is better. In simple terms, SD is a statistical measure representing the volatility or risk in an instrument. The higher the SD, higher will be the fluctuations in the returns. Sharpe Ratio measures returns (both negative & positive) with respect to the risk taken. Here the risk is defined by the Standard Deviation. A higher Sharpe ratio means, a higher return without too much risk. Thus, while investing, investors should choose a fund that shows a higher Sharpe ratio. The Sortino Ratio is a variation of Sharpe Ratio. But, unlike Sharpe ratio, Sortino ratio considers only the downside or negative return. Such a ratio is helpful for investors to assess risk in a better manner than just looking at the returns to the total volatility. Upside/downside capture ratio guide an investor- whether a fund is outperformed i.e. gained more or lost less than a broad market benchmark- during the phase of the market upside (strong) or downside (weak), and more importantly by how much. Well, an upside ratio of over 100 means that a given fund has beaten the benchmark during the period of positive returns. And a downside ratio of less than 100 shows that a given fund has lost less than its benchmark during the phase of dull returns. So, generally, investors should go for a fund that has a lower downside capture ratio and a higher upside capture ratio. As per the Budget 2018 speech, a new Long Term Capital Gains (LTCG) tax on equity oriented mutual funds & stocks will be applicable from 1st April. The Finance Bill 2018 was passed by voice vote in Lok Sabha on 14th March 2018. Here’s how new Income Tax changes will impact the equity investments from 1st April 2018. LTCGs exceeding INR 1 lakh arising from redemption of Mutual Fund units or equities on or after 1st April 2018, will be taxed at 10 percent (plus cess) or at 10.4 percent. Long-term capital gains till INR 1 lakh will be exempt. For example, if you earn INR 3 lakhs in combined long-term capital gains from stocks or Mutual Fund investments in a financial year. The taxable LTCGs will be INR 2 lakh (INR 3 lakh - 1 lakh) and tax liability will be INR 20,000 (10 per cent of INR 2 lakh). Long-term capital gains are the profit arising from selling or redemption of equity funds held more than a year. If Mutual Fund units are sold before one year of holding, Short Term Capital Gains (STCGs) tax will apply. The STCGs tax has been kept unchanged at 15 percent. *Gains up to INR 1 lakh are free of tax. Tax at 10% applies to gains above INR 1 lakh. Earlier rate was 0% cost calculated as closing price on Jan 31, 2018. #Dividend tax of 10% + Surcharge 12% + Cess 4% =11.648% Health & Education Cess of 4% introduced. Earlier, education Cess was 3%. While looking for best equity mutual funds, investors should choose equity funds which are doing well in the market. One should know how a fund behaves and performs when the market goes bad. A deep analysis of fund’s last three years’ performances is an ideal way to buy one of the best equity mutual funds. ☆☆☆☆☆ Rated 4.6, based on 83 reviews.